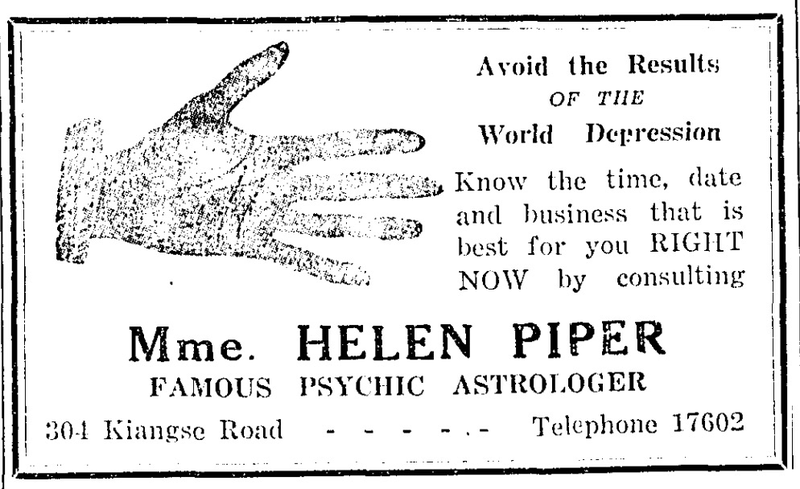 'Avoid the results of the World Depression. Know the time, date and business that is best for you RIGHT NOW by consulting Mme. 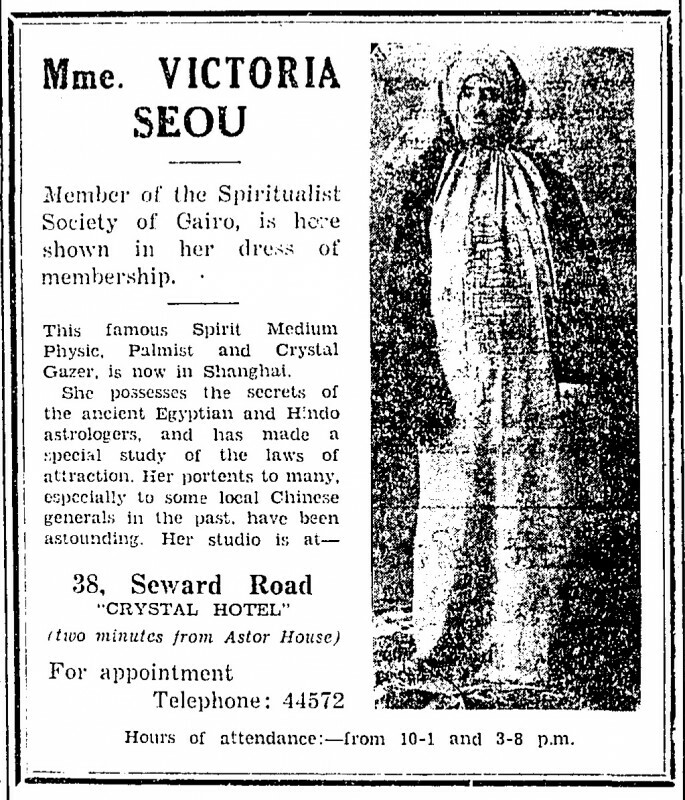 Helen Piper, famous psychic astrologer, at 304 Kiangse (Jiangxi) Road.' 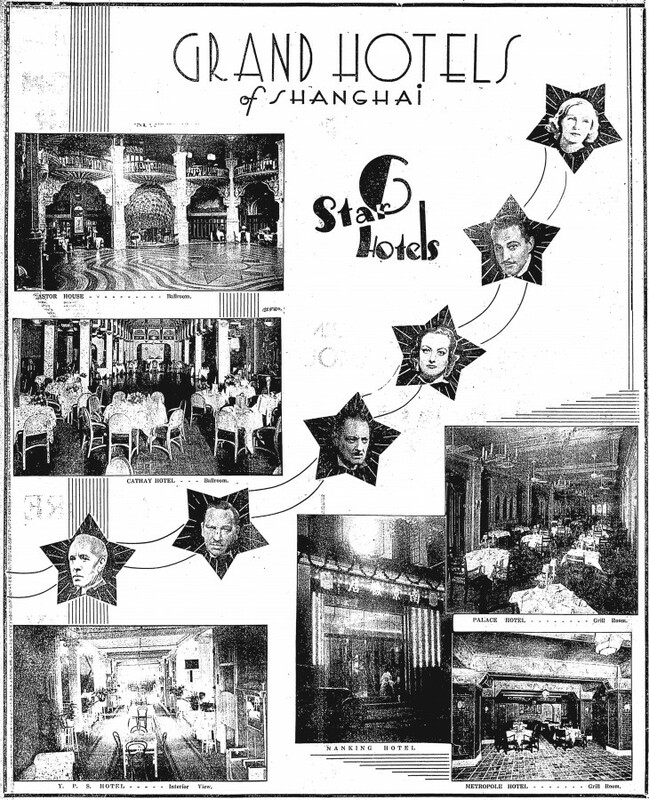 An ad published in The China Press in 1933. 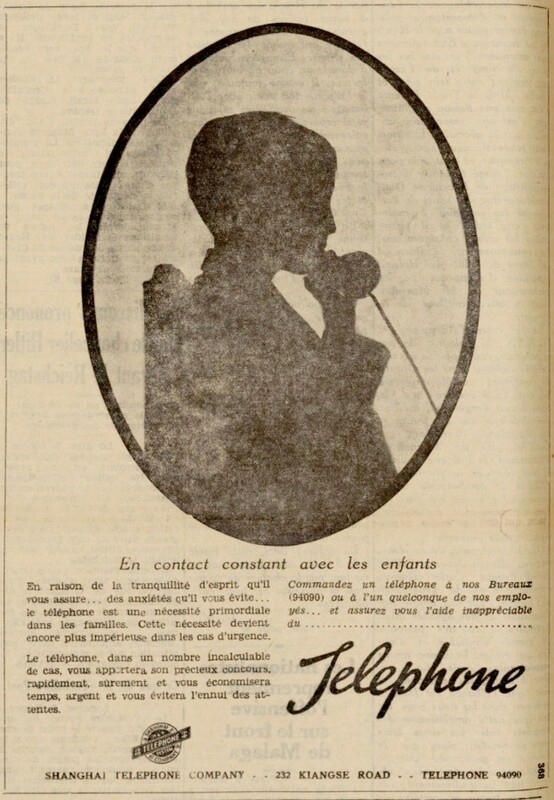 Have you considered installing a telephone?